Behind every successful technology lie many quirky stories showing how it grew like a teenager or barely averted disaster. With the passage of time, most of those stories fade into obscurity or, at best, become parts of verbal explanations accompanying countless resumes. The few events that find their way into public discourse, if any do at all, normally get stripped of context and nuance, losing the contours that actually mattered to those who participated. Perhaps that’s why those who developed Wi-Fi decided to write a collective memoir, bringing much to the fore that would otherwise fade. What the world today calls Wi-Fi began as experiments with wireless LANs, and became embedded in IEEE Standard 802.11, and only then did it explode into a plethora of products and services. Every stage involved numerous quirky events and lessons. 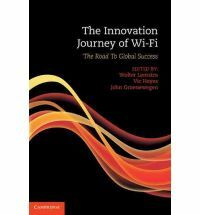 The resulting book, The Innovation Journey of Wi-Fi: The Road to Global Success (Cambridge University Press, 2010), involves almost a score of contributors, including many influential voices in the Wi-Fi world. For a certain kind of reader, this is a great book. Are you that kind of reader? Let’s find out. Wi-Fi typically gets attention in public discourse because of the innovative way the standard uses unlicensed spectrum for short-range applications while also avoiding interference. The focus of the book departs from this public norm, heading in some interesting new directions. The three editors’ interests had something to do with it. Vic Hayes led the IEEE 802.11 committee through its first decade. Wolter Lemstra and John Groenewegen are two professors from the Netherlands who maintain professional interests in innovation and technology markets. No surprise, therefore, that the book grounds the discussion in stories, as told by those who were there, and embeds those stories in standard managerial theory, as found in typical business-school mantras about managing innovation. This approach works well. Events were genuinely complex, and at times involved a vast ensemble of participants with distinct motives and views. There was no such thing as a typical Wi-Fi inventor, company, strategy, user, or application. The meaning of “typical” changed with time and location, and is best understood from distinct viewpoints through the voices of various observers. Accordingly, the volume avoids any narrow vision and celebrates variance in experience. Virtually every chapter combines anecdotes, analysis, and lessons. This is the book’s biggest strength. Many of these stories had never before been put into print, and many of the lessons are novel. 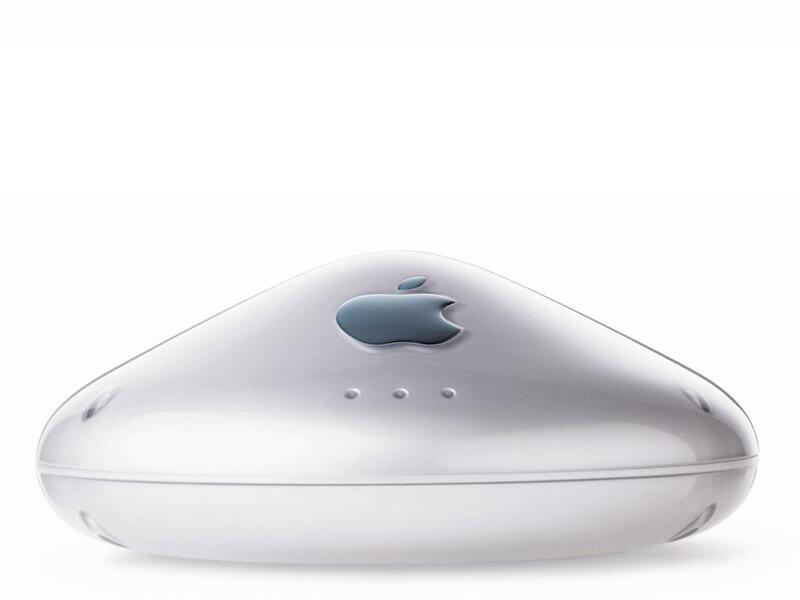 Jobs played his part in Wi-Fi’s evolution in 1998, just after IEEE Standard 802.11 had initially been published. Jobs had just returned as Apple’s CEO. At that point, the standard had not been translated into any popular product, and many industry developers were unsure if their design ever would amount to much. The chapter draws on Bruce Tuch’s recollections of a meeting between NCR/Lucent and Apple. Apple initiated the meeting, and Lucent’s wireless LAN team responded with ambitions to bargain hard to become the dominant equipment supplier of wireless LANs. Then Steve asked, “Are there any questions?” I tried to show a few slides: key wins, market positioning, product offering, value creation, etc. Presenting slides with Steve Jobs is actually quite easy: you put up the slide, and he will do the talking, not necessarily related to the slide: then he asks for the next slides. Tuch goes on to describe (unsuccessful) attempts by the senior executive from NCR/Lucent to get a word in edgewise, for which Jobs had no patience. 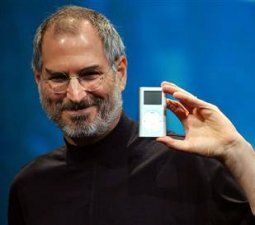 Turning the conversation back to wireless LANs, [Jobs declares,] “We need the radio card for $50 and I want to sell at $99.” Then Steve apologized; he had to leave. Standing up, he said “Hi!” and went. The room fell silent. Translation: the meeting of the minds was one-sided. Jobs explained his vision and declared the audacious price point he desired, and the offer was take it or leave it. Once that was done, Jobs saw no point in continuing the lecture. So, he left. He let others work out the details. The chapter goes on to describe how NCR/Lucent achieved that price point, albeit only after negotiations continued throughout production, and almost fell apart several times. Moreover, the division had to depart from normal pricing practices, embedding into the opening price to Apple the anticipated gains from going down a learning curve. That is how the Apple Airport—the first mass-market Wi-Fi product—. A delicious twist follows in the next few pages. 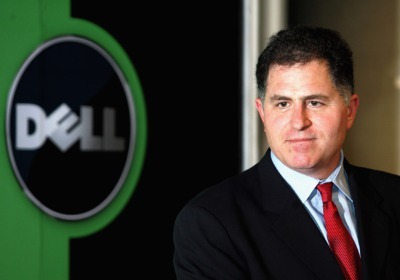 Michael Dell got mad because Dell was not first, and he took out his anger on a Lucent executive. Dell then had to be reminded that he had an opportunity to be in on discussions early, so missing the chance was his fault. Making a version for Dell became a priority thereafter, and making it compatible with Windows XP was the main challenge. Those first two projects pioneered the market. After those two projects, the consumer-oriented mass market took off. The chapter uses those stories to illustrate how a few projects serve as the bridge between years of experimentation and mass markets. Lucent obtained a large market share for a while, so the stories also show how a pioneering firm can get payback for years of investment, but only by being ready to capitalize when the opportunity emerges. There isn’t sufficient space to recall every great story, so let me highlight a few themes to whet your appetite. Wireless LANs had no chance at mass market success while the cost and price point were high, and while equipment from competing firms remained incompatible. Only a few intrepid buyers willingly waded into those market conditions. Early experiments in wireless LANs hit this wall like a textbook cliché. Only large-scale manufacturing could bring costs down, but only a low-priced standardized product could attract so many customers. The book offers several great illustrations about how the IEEE standard helped break through this barrier. The technology’s evolution changed the typical use case. Wireless cash registers, campuses, and warehousing all appear comparatively early in the designers’ minds. At the outset, nobody was thinking about the home mass market—hot-spots at cafés (or Starbucks, for that matter)—and any proposal like Centrino seemed like science fiction. This surprising evolution deservedly receives attention in several chapters. At many crucial moments the 802.11 committee members made technical decisions that shaped subsequent events. There is more here, however, than good managers making good technical things happen. The book is full of many candid observations about the numerous differences between North American and European managerial styles. Many of these observations will elicit a good-natured chuckle from readers. There is also something deeper—namely, insight into the quietly brilliant pragmatism of the engineers who make high-tech work today. Hayes himself unwittingly offers a great illustration when he writes about his own realization that managing an IEEE committee meeting required a good grasp of Robert’s Rules of Order—not part of the standard training for a Dutch engineer. Hayes regarded these as a quirky Americanism, but he put aside his reservations, examined the rules closely, and figured out how to effectively and cheerfully deploy the rules in meetings. That is the attitude of the man who succeeded in moving the technology forward. It should be a model for many. It’s no secret that many engineers’ ambitions get channeled through capricious decision making within large organizations. Still, organizational restructuring cast an unusually large shadow on events here. Because many of the participants in this volume come from facilities in the Netherlands, quite a few of them discuss their division’s place within NCR, which went from independent company to just another division within AT&T. They eventually became a part of Lucent, and independent again, as Agere Systems. Sometimes the Dutch facility had upper management’s support, and sometimes not. 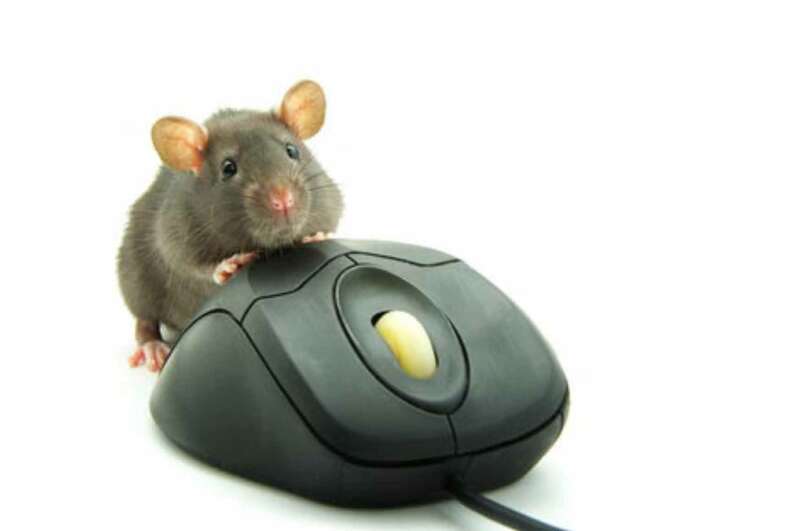 In retrospect, the Netherland’s defenders of wireless LANS were almost a victim of this reshuffling. Their success was quite fragile. This book is not an airport page turner. To be enjoyed and appreciated, it needs to be approached with the right expectations. Think of it this way: Just imagine a memoir constructed like an IEEE standard. It would drive a perfectionist to endless distraction by drawing on many sources, and bending over backward to preserve every reasonable contribution, even (occasionally) at the cost of narrative coherence. Yet, the method would have a purpose, not letting the better become the enemy of the good. That is what this volume does. It collects and preserves several great ideas, stitching them together in one place. That makes the gems accessible, turning them into something very useful for many readers. It should become a focal point for all subsequent developments.